It’s really easy to keep parents informed – a quick note or snapshot a day will do the trick! Keep parents on top of the school calendar and help them participate in events or volunteer opportunities. Send real-time communication home, including examples of student’s behavior and work. Share with confidence, knowing everything on Bloomz is protected by strict security measures. Fellow teachers! Need an easy but awesome way to communicate with parents? Look no further, get Bloomz. Easy to work, easy to update, and extremely helpful for planning things like parties or conferences. Teacher friends, this communication tool is the BEST ever! Hoping to use it for many years to come!! If you haven't checked out Bloomz yet, now is a great time! Such an easy tool that has saved loads of time and made communicating with parents so simple...and I think my parents would agree! 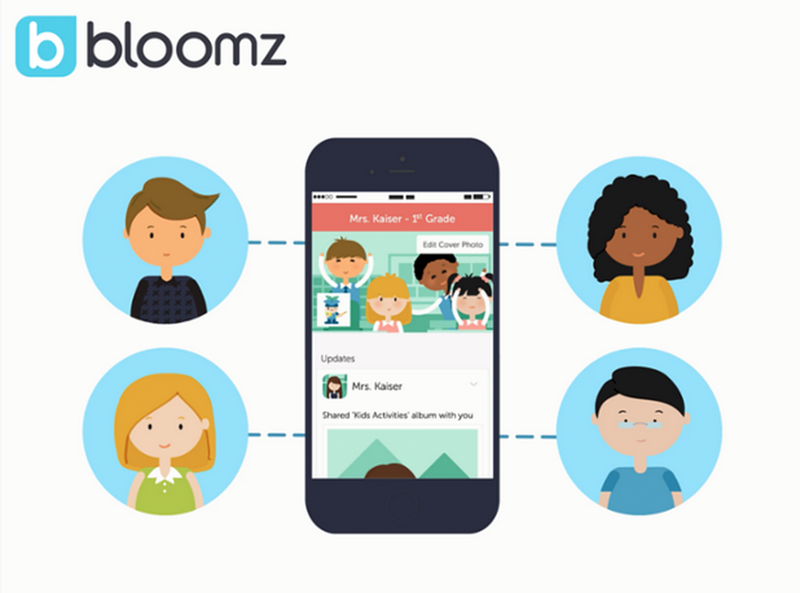 Bloomz is rated #1 app by this independent teacher review who maintains an up-to-date crowd-sourced comparision of over 10 different parent-communication apps! Named “Best Parent-Teacher Communication” by Coolcat Teacher Vicky Davis. 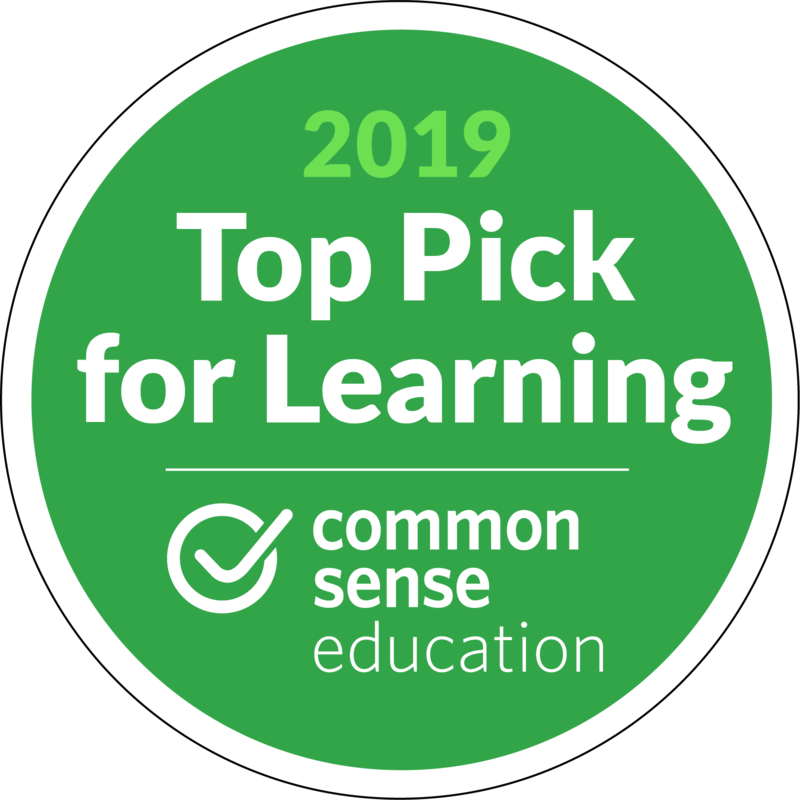 Award-winning app year after year, including “Best Parent-Teacher/School Communication App or Tool” by Tech Edvocate two years in a row! "Must have teacher productivity app"
I am super pumped I found an app that meets a few different needs and eliminates some of the excess. my life as a teacher"
I am loving the close/immediate contact I have with these parents. The parents that have taken the leap of faith with me on this journey are thrilled with Bloomz. "It's like finding the match to the glass slipper in Cinderella "
The perfect classroom communication tool. I'm all about a one-stop-shop, and it seems like I've found it with Bloomz! "Parents have made comments at our meet and greet that they love this app!" I feel like I have already fostered great relationships with parents because they feel informed and they have a direct line of communication with me. 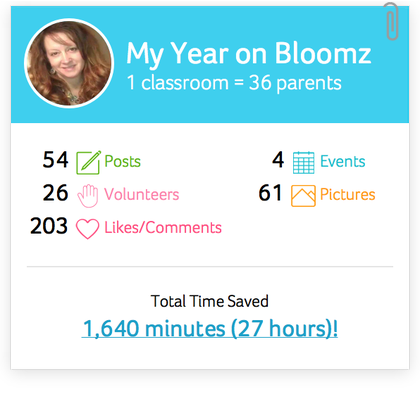 "Student Timelines From Bloomz Are Now Live.... They Will Make A Difference For You & Your Students This Year!" This feature will make the feedback even more special and real for our students and parents. "Bloomz has everything that Remind has and more"
5 sites I used and use only one! I was thrilled as I stood there and played but when I got back to my room and played some more I was blown away! to all my teacher friends!" 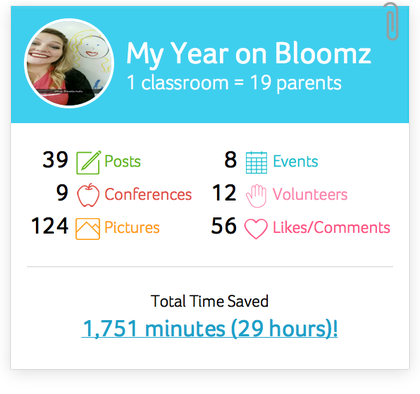 "My favorite FREE app for parent-teacher communication"
"Bloomz will make parent-teacher communication easier than it’s every been"
Bloomz has the potential to be my FAVORITE and I plan to share it with every teacher I know! "I was looking for a way to keep my parent communication game STRONG. Something simple and easy. & boy did I find it!" 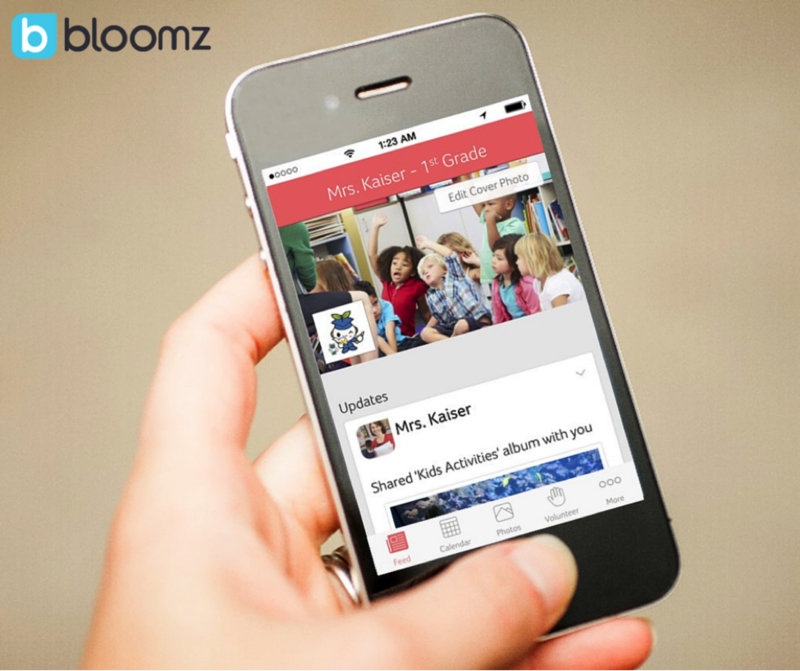 "Bloomz a Teacher’s Dream App"
"Why I'm Crushing on Bloomz"
Bloomz to the RESCUE! It's super easy to use! "They have thought of everything when it comes to communication from the classroom!" Bloomz gives you a little bit of time back and allows you to take care of all of those things in one place. I'm sold! "With Bloomz everything is in one place"
Are you ready for an app that can replace all of your various communication tools in your classroom? "What I love most about Bloomz is the format. It is very similar to Facebook but it is completely PRIVATE." From a teacher perspective, the smartphone is very easy to use. I can easily post photos of a class project or a quick reminder to parents. I am always looking for apps that give you multiple tools, and Bloomz for sure does that. Really, with communication you want to open as many avenues as possible, and this looks like a great one. This free app offers us, magnificent and awesomely cool, teachers an all-in-one place for parent and class communication. Are you a school administrator? 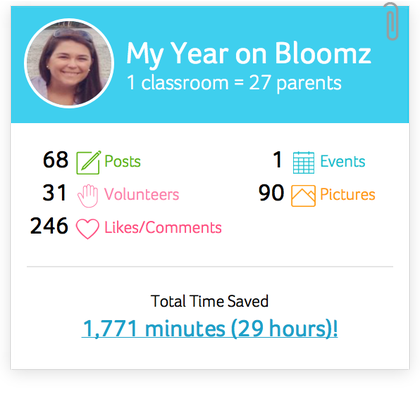 Bloomz can help you save time while improving communication and increasing parents' participation at school events, volunteer opportunities and more. Learn more. Bloomz for Childcare Centers now available!